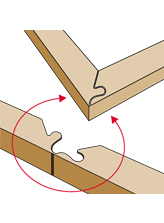 remain stable, while the edges and corners are protected. 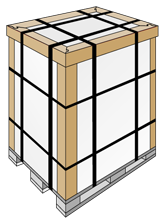 Simplifies the packaging of goods on a pallet. 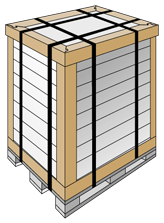 Protects the edges and corners of goods during transportation and storage. 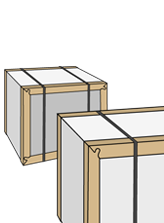 Frame profile strengthens the package and therefore enables the products to be loaded on top of each other. 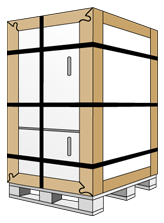 RAPPIN frame profile can be produced with maximum two slashes. The corner of RAPPIN frame profile.